WE ARE NO LONGER taking reservations on Opentable. Please go to www.spaghettini.com to make a reservation, or you can call our restaurant directly at (562) 596-2199. 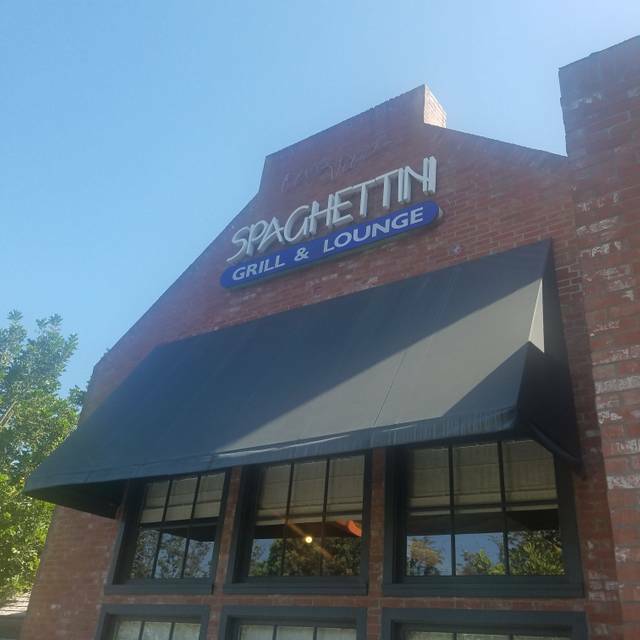 Spaghettini is located off the 405 freeway at Seal Beach Boulevard, making it the perfect meeting place for LA and Orange counties. With exceptional Northern Italian cuisine and top name entertainment, Spaghettini has come to be regarded as one of the premiere restaurant and entertainment venues in the country. Spaghettini is also home to the legendary Sunday Brunch hosted by 94.7 The Wave. Choose from a variety of private rooms to best suit your needs. For events large or small, our Private Dining Coordinator will help you customize a menu that will fit your taste and budget. 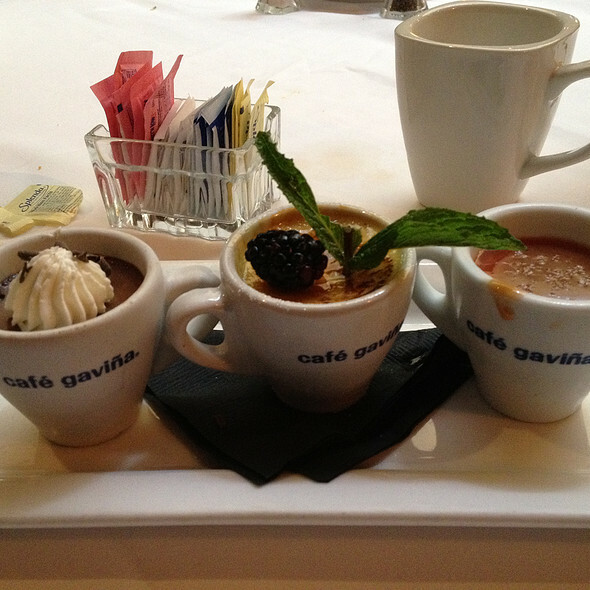 Let our Private Dining Coordinator assist in planning an off-site event you will always remember! 405 and Seal Beach Blvd at Old Ranch Pkwy. Valet parking is available for $6 Tuesday through Saturday nights and during Sunday Brunch. Self-parking is available in the Spaghettini Parking Lot. Additional self-parking is located across the street from Spaghettini in the Bixby Office Park parking lot. Kozzy was awesome. Made our experience special n fun. My wife and I came here for our 5yr marriage anniversary and we were both blown away. Everything was perfect. I only wish we could have taken our entree to go because we feel that some our food went to waste. 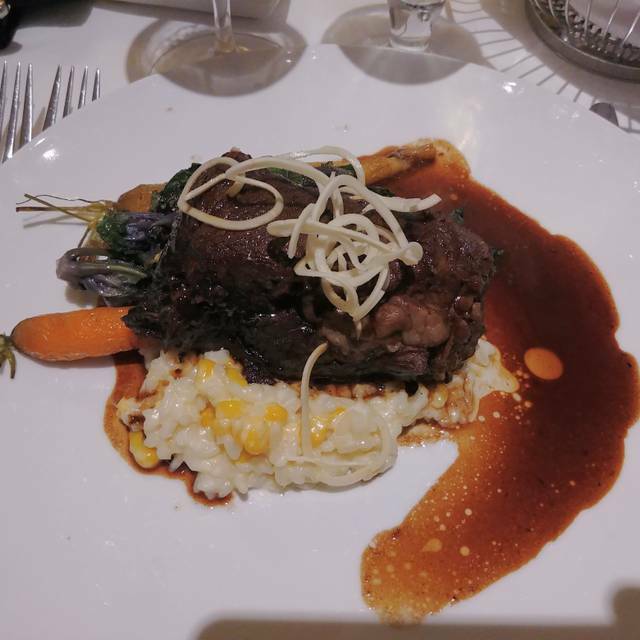 The food was excellent - had the short ribs which was extremely tender. The service was outstanding. Would definitely go back. Had table prepared upon arrival. Food quality was excellent and chef made an off menu item for my guest. Service was on point and the server was very customer friendly. Very good experience and I will return for the entertainment nights. Deeply disappointed with Tomahawk Pork Chop which was vastly overcooked - hard, dry and chewy. I should have sent it back. 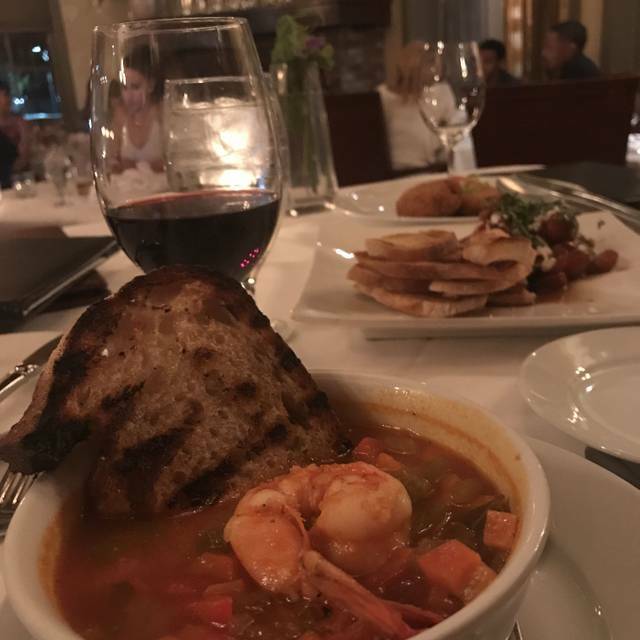 The cioppino soup was little more than vegetable soup with a large shrimp. Now way was it a fish stew. IMO Spaghettini's has a name that is better than its food. The dinning room was quiet considering the Jazz on the other side. I liked the booth seating for conversation. Really enjoyed Spaghettini. Definitely recommended. I love Spaghettini! This is probably the fourth time I've gone. Love it!!! Fabulous! Food is phenomenal and ambiance is wonderful. The service and food was amazing. 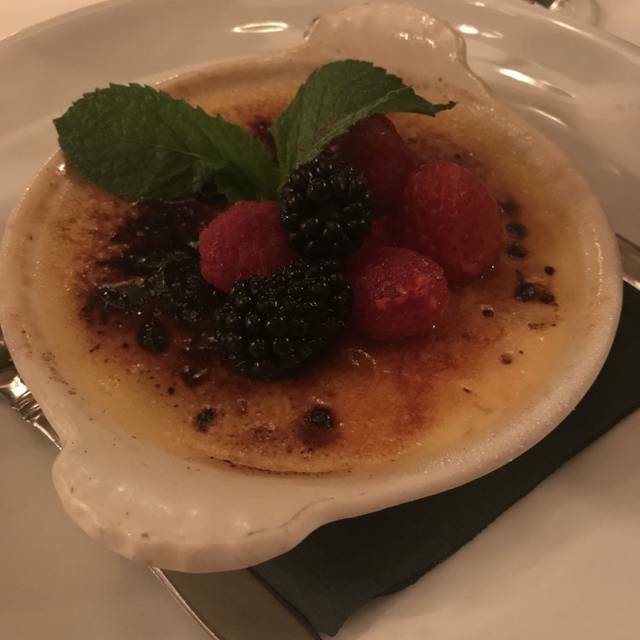 The Chilean Sea Bass and Creme Brule were the best we've ever had. Amazing food, amazing service! You’re missing out if you have not been here!! Excellent food and service. 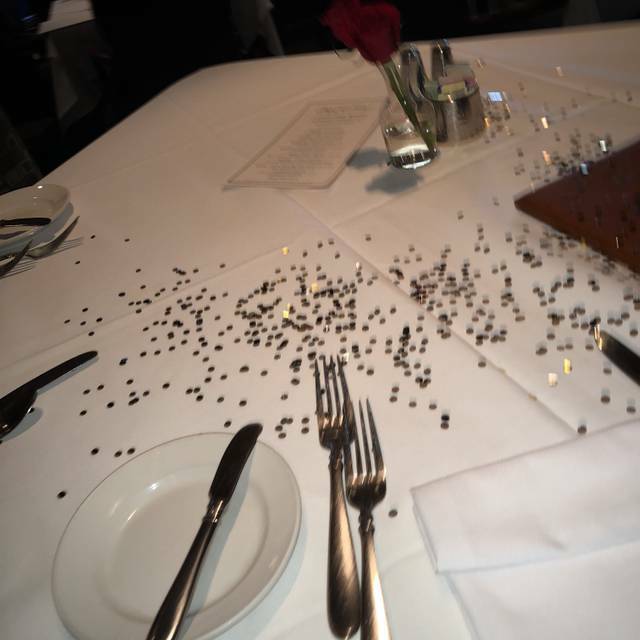 The restaurant was very clean. Staff was friendly. My husband and I went as an early Valentines celebration. He had been craving their ribeye steak. They were out?! It was Prime Rib night and they were out of the too! Finally my husband settled on the seafood pasta and they didn't have fettuccine! What?!? So disappointing. We went specifically for the advertised daily menu special which was their prime rib dinner. When we attempted to order it, since there was no mention on the menu, we were informed that they had run out prime rib! Say what? Seemed odd to us but luckily we enjoyed our meal nonetheless. In the future I may call ahead of time to ensure that their advertised special is truly available. Also attended a jazz concert recently since the new seating layout. They’ve totally ruined the concert layout there. The only decent place to sit now is at the bar in the other room! Not sure why they had to ruin a good thing as I attended at least 4-5 concerts there previously. Terrible change. We came here for a birthday celebration. 4 of us. We had steaks, lasagne, calamari and cauliflower appetizers and some excellent Duckhorn merlot. We had 8:15 dinner reservations on a Saturday night and our booth was close to the bar which has jazz going on so it was a bit loud where we were, but not a big deal. Our server was excellent. She was around when we needed her but not a mother hen. We haven’t been here for awhile and it was nice to come back and see their service and food was as good as we remembered. Great service, meal and location! Food wasn't good and is overpriced. Appetizers and bread were good. Service and ambiance good. Food - NOT. The Fish salad was bad. Old ahi. Needed to entertain visitors in a quaint lovely place and that is exactly what we got along with fabulous service and cuisine--will most likely continue dining in this fine place. An absolutely wonderful lunch with colleagues. I had the shrimp and mango salad which was to die for! The service was superb. My friend gad butternut squash ravioli and practically liked the plate. Can’t wait to go back. 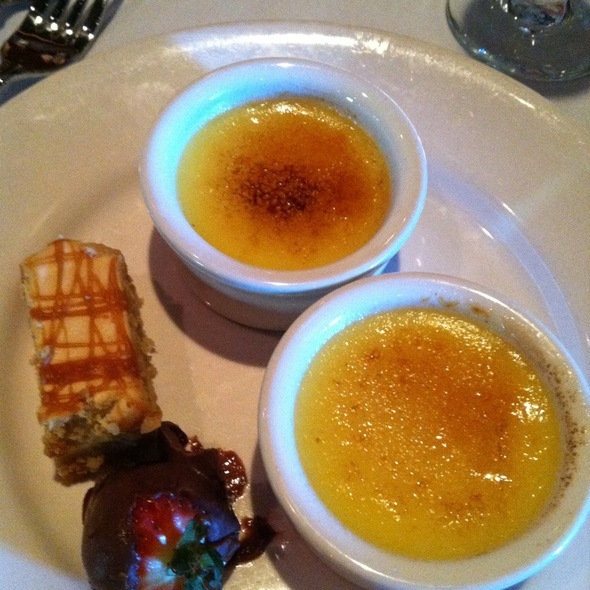 Our food was excellent, and Terri our server was outstanding! We love Shaghetini!!!! 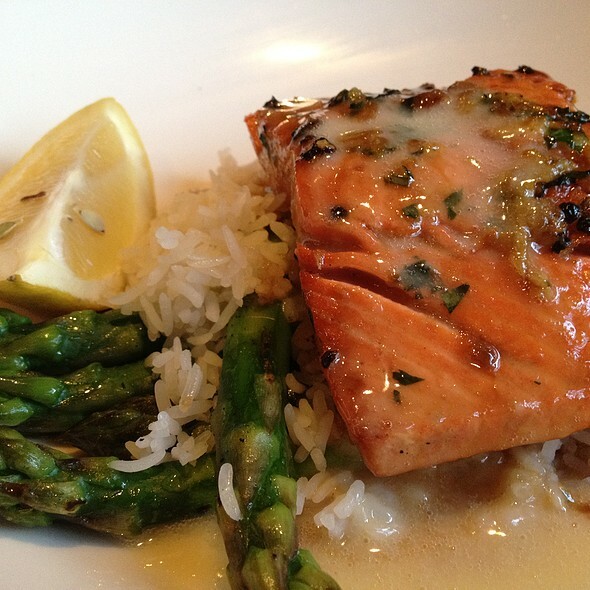 Our go to place for Friday dinner with family or a date night! Food, ambiance, all around top notch!!! The Sunday brunch was extremely busy and loud. We were seated 45 mins after our reservation time outside at a table. Apparently the table inside was not leaving so we had to wait. They did make an effort by getting us to a table. We went for Sunday brunch. Even though I indicated that we were celebrating my mother’s birthday in opentable, no one on staff said anything. The food was good, however, I ordered waffles and wings and the waffles were soggy, not even remotely crispy. Bummer. Executive Chef Victor made our trip to Spaghetini's perfect. We have been 100% gluten free for many years for health issues and he personally walked us around the buffet to let us know our options. The food was delicious! Can't wait to return. If you want good food and great jazz you won't be disappointed. I would definitely recommend the restaurant. The Jazz Club wasn't our cup of tea even though my friend is a jazz lover. He prefers the old type of jazz. That being said, we both thought the food was absolutely wonderful. We both agreed our dinners were the best we've had in a long time. He had the filet mignon and it was cooked to perfection. 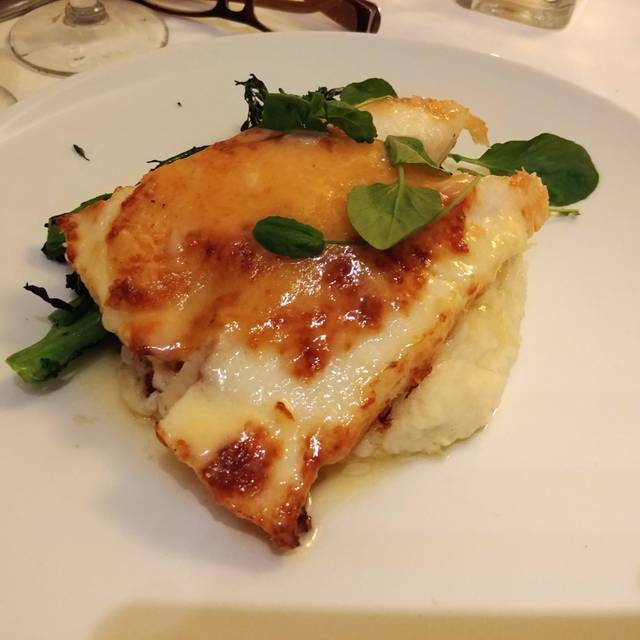 I had the horseradish crusted halibut and it was a large piece and I made sure I ate every bit! Thinking about it, still, makes my mouth water. We were celebrating his birthday and they gave him a delicious dessert. It tasted so good that we decided to order another dessert and it was every bit as good. The only negative was the price on drinks is much higher than most places. All in all, we definitely will be back! My date had the Lobster Ravioli and it was just right. I ordered the NZ lamb and it is always perfect! I'm a Celiac and requested the Gluten Free bread and it is always the best. The service is outstanding and the food is delicious. We come here for special occasions and it was her birthday. They made it that much more special. Cat is an amazing server. The spaghetti and meatballs and butter cake were absolutely deliscious. I was thrilled that they offer Rombauer Chardonnay by the glass; it is one of my favorite wines. The pasta primavera was the only disappointment, as it was a bit bland for my liking. Everything else was fantastic.